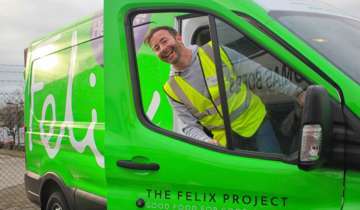 When the green Felix Project van visits Stanhope primary, a ripple of excitement runs through the school. 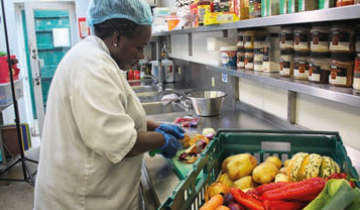 It is loaded with fresh food from some of London’s most prestigious suppliers and nobody at the Greenford school knows exactly what treasures it will hold. 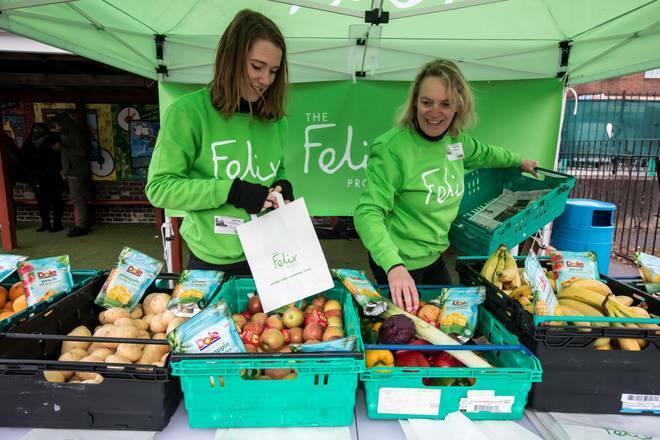 Children queue excitedly in the playground to fill their Felix paper bags with Chantenay carrots or purple sprouting broccoli — top-quality food which would otherwise have been wasted as surplus. 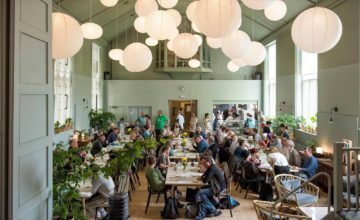 The Felix Project’s depot is filled with produce of such high quality that it looks like a farmers’ market. Every item of the two tonnes in the small warehouse would have gone straight to landfill if it had not been intercepted by the charity. 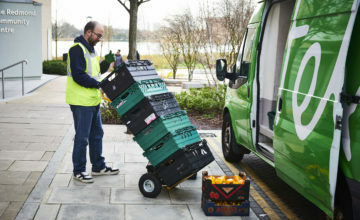 Volunteers sort and load the crates into the charity’s fleet of green vans. 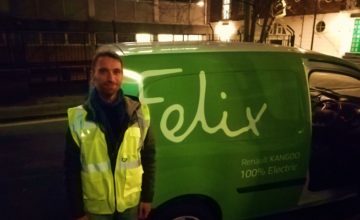 The Evening Standard travelled with Allan Fitzgerald, one of Felix’s dedicated volunteers, to collect food surplus from supermarkets. 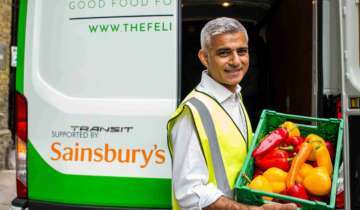 At his first stop, a small Sainsbury’s in Hendon, he collected crates of bread, croissants and pastries which it was unable to shift. At another Sainsbury’s he collected trays of bananas, vegetables and five sacks of bread. At Morrisons he was given tins of food and bottled drinks. His final stop was the Mash Purveyors warehouse, which supplies all five of the UK’s three Michelin-starred restaurants. This is an extract of an article by Anna Davis and Lucy Pasha-Robinson, originally published in the Evening Standard. Read the full article by clicking on this link.